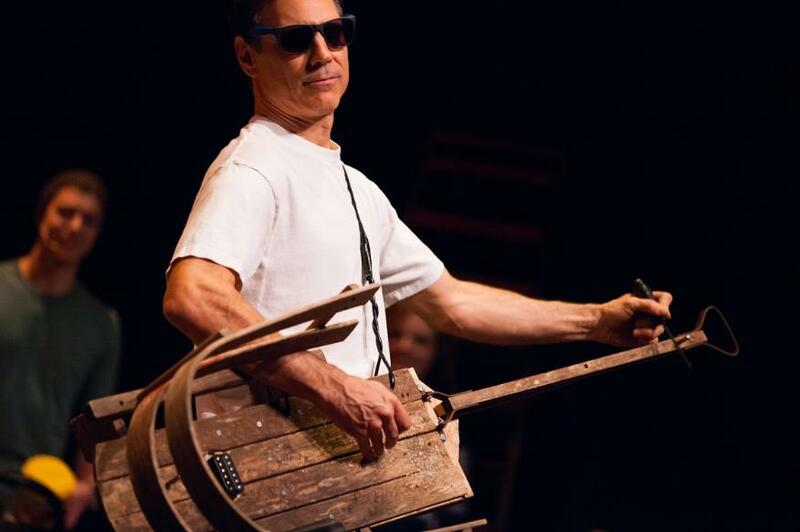 The Music of Junk is a fun, energetic, musical extravaganza of original music performed on invented instruments built from junk and recycled materials. The 11-member orchestra and singers perform original compositions by Canadian composer Paul Snider during this 120-minute, unique show. Stories of the junkyard unfold through a wheel barrow bass, a garbage can cello, hub caps, PVC tubing, an automobile drum, a Tube Tower 12 feet high, a harp built from a bed frame, different types of percussive instruments and much more junk, all adding to the originality of this orchestra of the imagination. 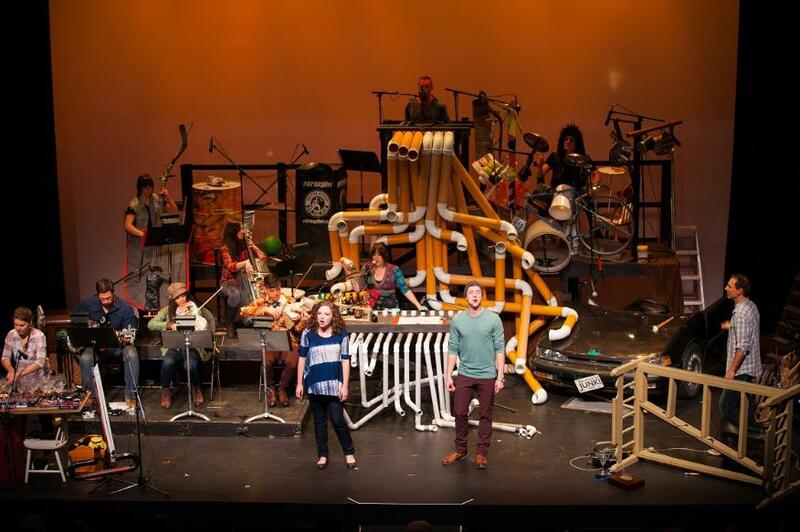 The Music of Junk made its debut at the Vancouver's Fringe Festival at the Firehall Arts Centre in September 2014. It appeared for a week run at the Waterfront Theatre, Granville Island, Vancouver, BC in November 2015, the 1,260-seat Massey Theatre in New Westminster in 2016, and in 2017 at the Charles-Bailey Theatre in Trail, BC and the ACT Arts Centre in Maple Ridge, BC.